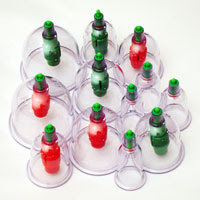 There are no Sunnah days for cupping (hijama) in this month of Rajab as the 17th, 19th and 21st of Rajab do not correspond with a Monday, Tuesday or Thursday. Please kindly note that these dates are based on the new, lunar moon according to the sighting of the new moon by the naked eye, as cupping (hijama) is a form of worship. These dates may sometimes vary from the calculated, lunar dates.